Mikrotik 18POW-US 24 vdc, 19 watt (.8 amp) universal switching power supply with 2.1mm DC plug. Narrow housing and right angle plug only uses a single space in a conventional power tap. 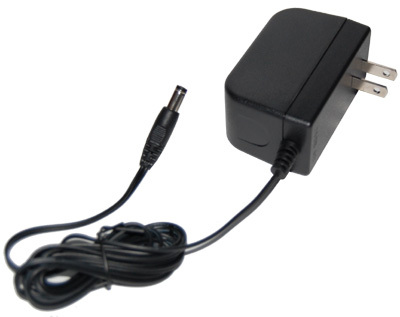 Type A USA AC input plug operates from 100 to 240 vac. UL approved for use in the USA. Supports all Routerboards. Use with RB/P54 POE injector for POE support on all routerboards except RB200 and RB600 which should use 48vdc for POE. NOTE: The current 18POW supply is 24vdc 19.2 watts (.8amp) and the old 18POW was 18vdc 18 watts. Both supplies will work with all current model RouterBoards except the RB1000. The 24volt supply will not work with the RB532 boards.